On July 6 (Tue. 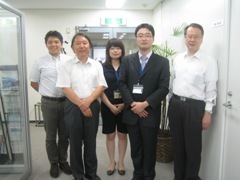 ), 2010, a researcher belonging to the Future Resource Institute, a Korean private think tank specialized in water-resource policies, came to Japan, and had an exchange of views on efforts for river restoration and extreme weather conditions with the JRRN Secretariat. The Future Resource Institute was a private organization established as a think tank conducting research on climate change adaptation measures and resource management policies, including water resources, integrated watershed management, environment control, etc. 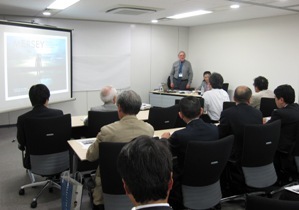 The purpose of his visit to Japan was to collect information and exchange views on environmental measures related to river and water, management methods, and response to climate change, and he visited several related organizations in Japan.